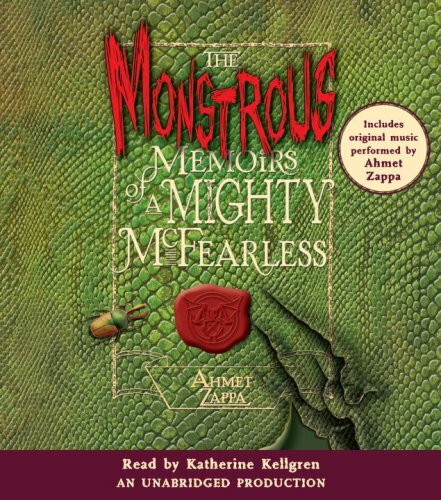 I first read Ahmet Zappa’s The Monstrous Memoirs of a Mighty McFearless while teaching 4th grade back in the mid 2000s. 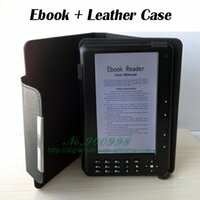 It had great popularity among both girl and boy readers. That is a good thing; the middle grades are a time when many kids do not want to read much of anything. Boys especially seem to lose much interest in reading. Not so with books featuring action, gross and fun available. Ahmet Zappa’s The Monstrous Memoirs of a Mighty McFearless never lay on the classroom library for more than a day before being checked out again. The class rule was everyone had to have a turn to read it once…. And that soon became twice, or ….. When I moved to First Grade the book continued to be popular among those who were no longer in my classroom. I recently came upon a copy of The Monstrous Memoirs of a Mighty McFearless while strolling through the aisles of the local jumble shop, and I picked it up immediately. Reading it again today, I find the book holds as much allure as ever it did. Hence, I’ll review it now, despite it being published over a decade ago, in hopes that more middle grade readers will have the fun, quirky tale brought to their attention by another middle grade teacher who may not as yet have noticed it. The Monstrous Memoirs of a Mighty McFearless launches with eleven year old Minerva McFearless, her younger brother Max, and their battered and bleeding father locked in bird cages, dangling over a never-ending pit of molten lava. Close by, a plump, dozing, Snargleflougasaurus polluted the air with his gaping, reeking, feted, razor-toothed mouth. The trio are held deep within the demonic depths of Castle Doominstinkinfart where The Zarmaglorg – sovereign of evil, has been busy tormenting Mr. McFearless in a fruitless, to date, effort to wrest control of the wicked magic held within the Enotslived Diamond. From that initial circumstance the reader is hurried along on an exhilarating trip jam-packed with a clarification of just how not normal the McFearless family actually is, as well as arriving at the recognition that eight is the number of forever, as they are made aware that Minerva and Max can, will and do seem to locate misfortune whenever they are left alone, and will move into a mysterious chamber where the fireplace used to be with the kids. Wandering along a clandestine passageway Minerva and Max arrive to a door leading into a museum like room. It was a chamber precisely intended for and devoted to the systematic training of malicious monsters. As soon as Minerva sees a cryptic tome, the Monstranomicon, she is in for a revelation. The anecdote continues with The Legend of Maximillius McFearless clarifying a bit of the family history, Father McFearless’ staggering admission, the kids sneaking into their father’s private den as often as they can where they study to be monsterminators, a Bewilder Box appearing on the doorstep without warning and a recipe for Lizard Lozenge Ten are included in the chronicle to keep the reader turning the page. Before the conclusion of the tale is reached the reader will read a narrative regarding The Grumplemiser, will see a formula for preparing Fool’s golend Friend Chicken Surprise Attack as well as one for The Cat Hand of Doom, which guards the user from Krunkadillions for 300 days. Exhilaration, more escapades, more recipes and imageries fill the pages of The Monstrous Memoirs of a Mighty McFearless. Ahmet Zappa has created a refreshingly child friendly story certain to tempt the middle grade target audience. Characters and situations including Guide Mr. Devilstone, the egomaniac one-eyed coyote who wears a monster alarm, the Enotslived Diamond, around his neck, Ms. Monstranomicon a live monster manual who is more kindhearted than horrific, and the McFearless clan itself are appealing, engaging and likeable. I especially appreciated viewing the numerous graphics, photo works, monster images and the monster deterring instructions formulas and recipes. Zappa has fashioned a book for kids who may not much enjoy reading. As a dyslectic Zappa knows well the struggle many kids face trying to make sense of letters and words. Minerva and her love hate relationship with her sibling is something young readers will identify, appreciate and giggle over. Zappa’s command of language is a pleasure, he presents terminology to tickle the tongue, lend joy to the eye and pull children into the reading. Humor abounds, as it smooths out the monsterish bits of the work in a sui generis and delightful manner. Mighty McFearless is a quirky book holding much appeal for the middle grade reading audience. I expected much from the son of Frank Zappa, who is my generation, while Ahmet is my children’s. I was not at all dissatisfied during my reading for review of this carefree, keep ‘em turning the page work. I tend to enjoy quirky too. While Mighty McFearless is a book I read without hesitation to my 4th grade classes, it was a little beyond the scope for my First Grade students. The Monstrous Memoirs of a Mighty McFearless works well as a read-to for parents to use for reading to their 8 – 10s, remember, even ‘older’ kids enjoy sitting and having parents read to them, it is as well, as a read for enjoyment for the grades 4, 5 and 6 and perhaps even older. Some parental guidance will be necessary for younger listeners, parents will do well to read first to make themselves aware of the places in the narrative where younger, or especially sensitive kids may express actual concern as opposed to the anticipated shrieks of delight kids in the target audience can be expected to express at the unrefined, or sensational or unusual.